It's One Room Challenge week 4, and we're getting to the point where we can really see how the dining room is going to come together. 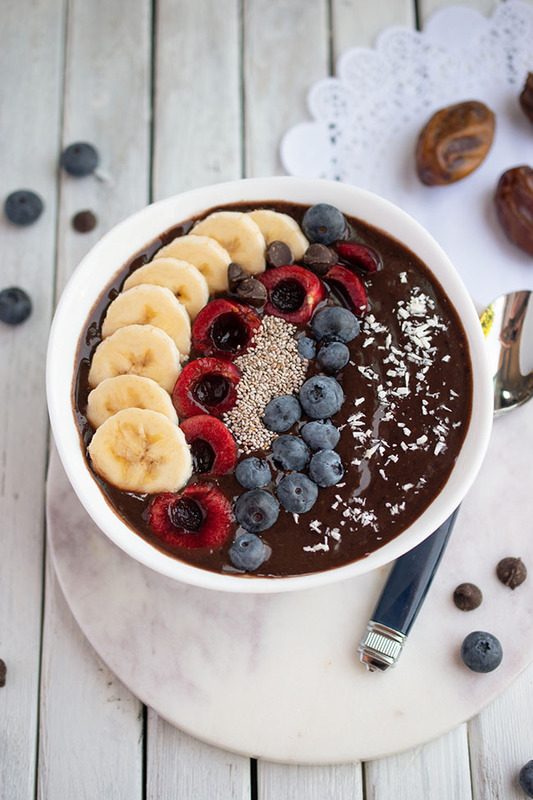 The mood board is one thing, but real life results can look a lot different. Fortunately we are loving how the dining room looks so far. In last week's update, I told you how we managed to get a bit of work done over the Easter long weekend. Unfortunately this last weekend we were out of town from Friday to Sunday for my son's basketball tournament. That's the job when you're a parent though, right? I'm sort of glad in a way, because I think it's fitting if I can show you how we managed to make over our dining room in just five weeks while still conducting our regular business, like work, tax preparation, cooking, cleaning and parenting. The blog is called Woman in Real Life after all. And real life means you don't often have a lot of spare time for diys and decor. With little time to spare, we decided to spend an evening putting up the wallpaper on our feature wall this week. As I mentioned previously, we chose Graham & Brown's Innocence charcoal and silver wallpaper. We used Graham & Brown wallpaper for our foyer makeover and our powder room makeover and we were really pleased with it both times. The foyer makeover was the first time we had ever put up wallpaper. On a terror scale of 1 to 10, I feel like we were at about an 8. But the paste-the-wall application went smoothly (pun intended) and we were emboldened to wallpaper again in the powder room. We get a ton of compliments about both wallpapers, both on social media and in person by visitors. More importantly, it really brings us joy. I find wallpaper cheers a room and gives it that oomph of something special. It took us just an hour and a half to put up the charcoal and silver wallpaper in our dining room. Seeing as it's a feature wall, we didn't have any corners to deal with. 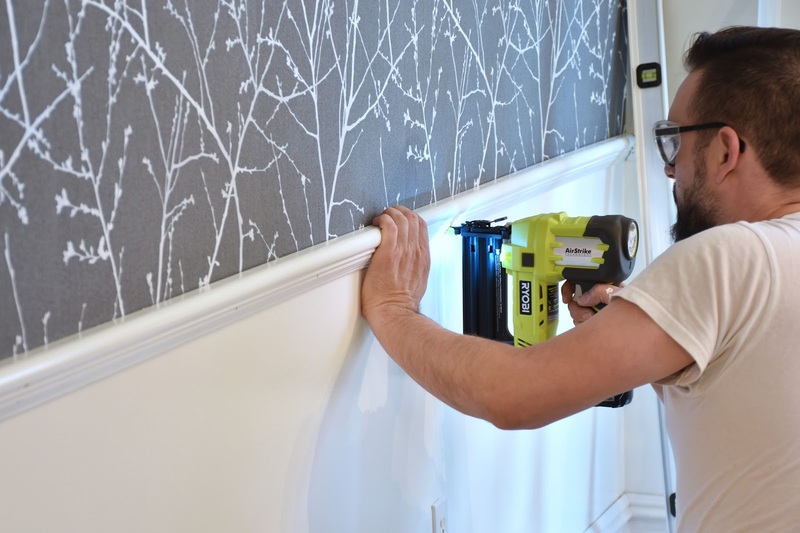 And because we are installing crown moulding and chair rail, the process was even easier - we didn't have to be especially careful at the top or bottom of the wallpaper application. This particular wallpaper has a lovely linen look, which my husband and I are quite impressed with. It has a texture (and sheen on the silver areas) that to me makes it look like a more expensive wallpaper. Speaking of chair rail, my husband got all the chair rail cut and installed this week as well. We once again selected Metrie's French Curves chair rail, which is made from poplar. Because it's solid wood, the chair rail is pretty weighty and we found it's important to nail into the studs for a good, secure fit - especially when your walls are a little wonky. This is where our Ryobi brad and finish nailers were essential - read last week's post for more about which tools you'll need to install trim. 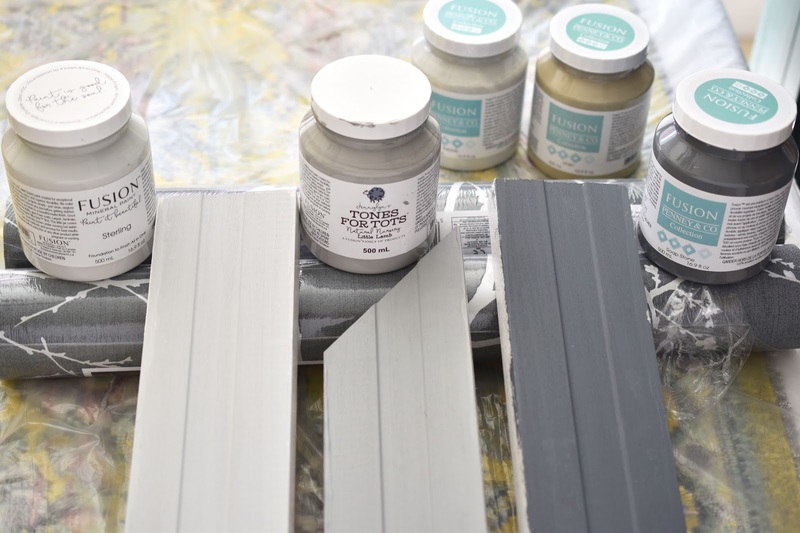 I am a big fan of Fusion Mineral Paint and they were kind enough to send me several grays to sample. 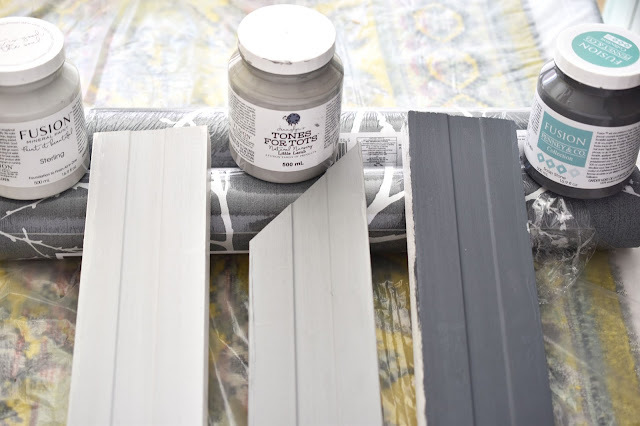 When it came down to making a paint choice for our china cabinet, I had several elements to consider. 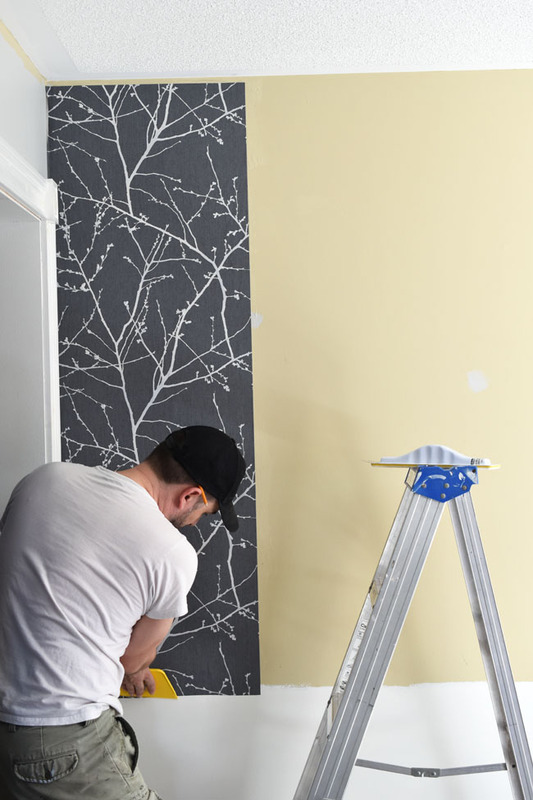 For one, the colours already in the room - we have Benjamin Moore Gray Owl on the upper part of the walls and the wallpaper is of course a dark gray and silver mix. Plus we already have an armoire in the room that's a distressed teal blue. And we are adding the beautiful blue and gray area rug we got from Wayfair.ca. We thought about painting the dining cabinet black, but I felt it would be a bit stark with no other black in the room. We thought about white, but I wanted something with more impact that would stand out from the Simply White trim. So, I settled on gray...but which gray? I painted boards with three Fusion Mineral Paint colours (light, medium and dark grays) - Sterling from the Classic Collection, Little Lamb from the Tones For Tots Collection and Soap Stone from the Penney & Co. Collection. I also looked at Fusion's Linen and Pebble, both beautiful colours too, but not the right tones for this particular room. I'm not going to reveal which colour we chose - yet - but I'd like to hear which paint colour you might have selected. We actually seem to have Saturday and Sunday free for the moment, so the hubs is hoping to install crown moulding while I continue to sand and paint the china cabinet. I'll see you back here next week with that done! Then we'll have just one more week to install panel mouldings, clean up and add accessories. 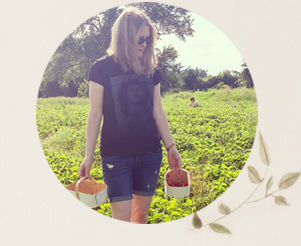 Be sure to check out the progress of the 20 featured designers, as well as all of the guest participants (like me) who link up each Thursday at Calling it Home. Week 6 - The Big Reveal! This dining room makeover would not be possible without the help of these sponsoring companies, each of whom supplied (gorgeous) product. All opinions are authentic and my own. Thank you for supporting the awesome companies that partner with Woman in Real Life. *This post contains affiliate links. If you make a purchase after following a link, Woman in Real Life will receive a small commission. Your price is not affected. Wow! It's going to be amazing! Can't wait to see it finished. love the china cabinet base! I always do that myself, forget to take a proper before pic! love the wallpaper too. I am sure the space will look great. 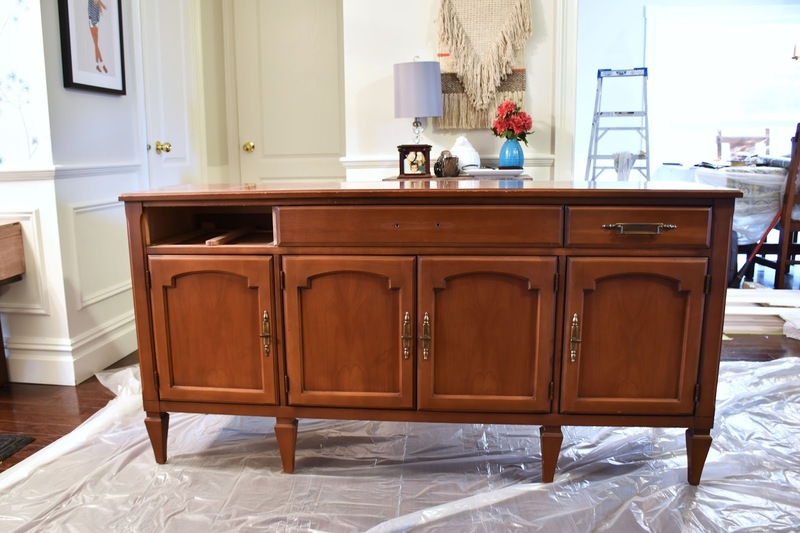 Hi Lianna, Yes I could kick myself for not downloading the original pic of the cabinet when it was for sale! Thanks! I can't wait to be done!